A Pakistani court suspended the prison sentences of former Prime Minister Nawaz Sharif, his daughter and son-in-law on Wednesday and set them free on bail pending their appeal hearings. The Islamabad High Court made the decision after the Sharifs petitioned to appeal their sentences, handed down by an anti-graft tribunal earlier this year in a corruption case against them. The development is the latest twist in a series of scandals involving the former Pakistani prime minister, beginning with his ouster from office last year and serving jail time, to several corruption cases and trials he faces. His party, the ex-ruling Pakistan Muslim League party, meanwhile, lost in parliamentary elections this summer and has now taken on the mantle of the opposition to new Prime Minister Imran Khan’s government. In Wednesday’s decision, the court also ordered that Sharif, his daughter Maryam Nawaz and son-in-law Mohammad Safdar, be released once they each post a bond of half a million rupees, or about $4,000. 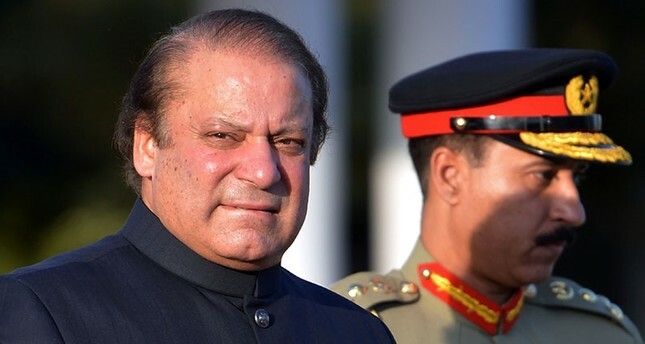 The prosecutors in the case, the National Accountability Bureau, said they would appeal Wednesday’s ruling and take their case against Sharif to the country’s Supreme Court. Following the decision on Sharif, his supporters rushed to the court in jubilation, chanting pro-Sharif slogans. “This is a triumph of justice,” said Sharif ally and former Foreign Minister Khawaja Asif. Amjad Pervez, a defense lawyer, said the required bonds have already been posted and that Sharif and his family would imminently be released from Adiala prison in the nearby garrison city of Rawalpindi where they have been serving 10-year, seven-year and one-year prison sentences, respectively. Sharif was briefly released on parole earlier this month to attend the funeral of his wife, Kulsoom Nawaz, who died at a London hospital after a long battle with cancer. In July 2017, the Pakistani Supreme Court disqualified Sharif from office over corruption allegations. He faced several court cases at home and was later convicted of concealing assets abroad. The charges stemmed from the so-called leaked papers from a Panama law firm. Sharif faced two more cases before the anti-graft tribunal. Reacting to Wednesday’s decision, Senator Javed Faisal, a close aide of Prime Minister Khan, said the court only suspended Sharif’s sentence and those of his family members, and did not acquit them. “Their supporters should not celebrate so much as they will likely have to go again to Adiala prison,” Faisal said. However, analysts see the decision as a “temporary relief” and a definite boost for Sharif’s party and supporters. I am not a special fan of the Saudi Crown Prince, but when it comes to corruption I think we may learn something from him: Confine all the ‘Panama Paper Guys’ in a luxury hotel until they pay up a substantial amount of their ‘unexplained’ wealth.